Plan to join the Sunflower Craft Club for an evening devoted to doing your crafts without interruption. 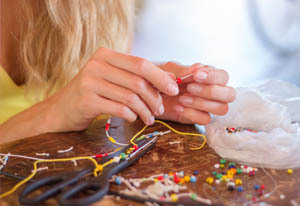 The Craft Club meets at the Hanford Clubhouse Fridays from 7PM to Midnight. *Check the Calendar below for dates. *Bring your own snacks or drinks. Club Description: Local resident, and group leader Dawn can usually be found working on a new seasonal craft, and is always willing to help new crafters with their projects, offer suggestions, and demonstrate what she is currently working on. The Craft Club is available to all residents of Sunflower Village and no pre-registration is necessary. Occasionally there is a small crafters fee if you want to take part in creating the craft that Dawn will be demonstrating. 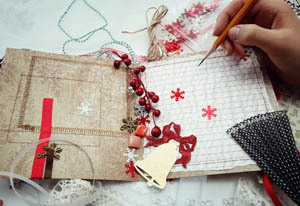 Other crafters present will be scrapbooking, knitting, crocheting or working on other projects. It doesn’t matter what you are working on or your level of talent, just come out and enjoy the company of your neighbors. 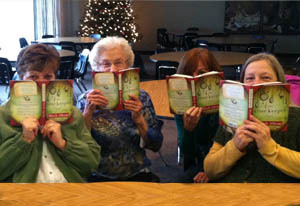 The Sunflower Book Club meets on the fourth Monday of each month from 1:00 PM to 3:00 PM at the Hanford clubhouse. The Book Club does not meet during the summer months of June, July and August. 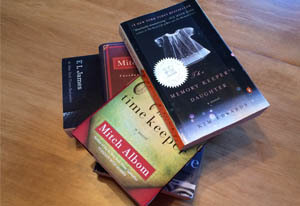 Club Description: Members take turns choosing books, leading discussions and typically providing refreshments for the group. We are a dynamic group of women who all came together through a love of reading, and we thrive on a fun and respectful environment for all members. Occasionally we have an author come and address our group. Last year we were selected as a Book Club to review an advance copy of Mitch Albom’s latest novel, The First Phone Call From Heaven, and following a private discussion with the author, we were invited to be guests at the official book premiere at the Fox Theater in downtown Detroit where Mitch Albom, Judge Damon Keith, former Tigers manager Jim Leyland and other local celebrities addressed the audience. Our last group in May is traditionally a book discussion / pot luck celebration! As we have become a close knit group, during the summer months we meet for different social events and excursions outside of Book Club that you are welcome to join too! A fun place to meet new friends! Plus a great way to meet other parents in the neighborhood too. 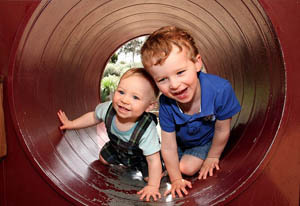 The Playgroup meets Friday from 10AM-12PM at different members homes. Looking for volunteers to run the group! 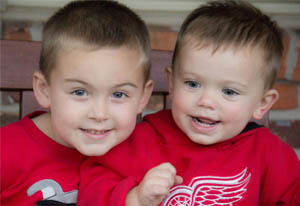 Club Description: The Play Group takes turns meeting at each parent’s home, and provides the children with a chance to socialize with each other. The host may provide an educational opportunity (learning through play) and sometimes play trips are coordinated to the zoo, local farm, or public library for a Children’s Hour. Mothers also benefit from this group – it allows them a chance to socialize with other adults while their children are playing, and the mothers who participate in this group have become a close-knit sub-family of their own. New clubs are always welcome. Please call the Sunflower Office at 734-453-2022 for more information.